WeatherTech Cargo Liners provide complete trunk and cargo area protection. Our Cargo Liners are digitally designed to fit your 2019 Ford Flex and feature a raised lip to keep spills, dirt and grease off your vehicle’s interior, protecting your investment from normal wear and tear. I recently bought a Ford Flex which requires a lot of floor mats. I bought all of them, two singles mats for the front seats, a full mat for the second row, one full for the third row and a mat for the cargo area. Also purchased the large cargo mat for when the third row seats are in the down position. All of the mats fit perfect. No altering, no cutting just lay it out. 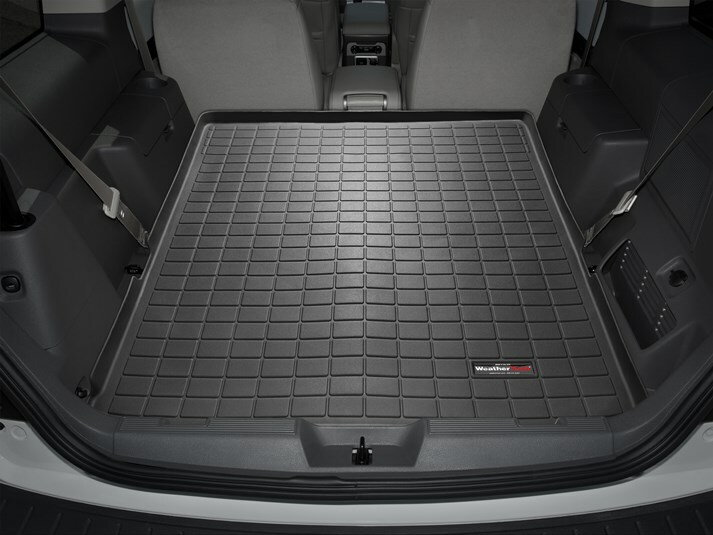 The cargo mat has all the necessary cutouts for access to the tie downs and compartments. The edges of the cargo mat are rolled up to catch spills. The only thing I didn't purchase was the CargoTech system that keeps bags, boxes,or just about any package from sliding around. I plan on purchasing in the near future. By far the best floor mats I have ever had. I am very piticular about keeping my car clean and I'm sure these mats will help. Thanks WeatherTech for making such a fine product.